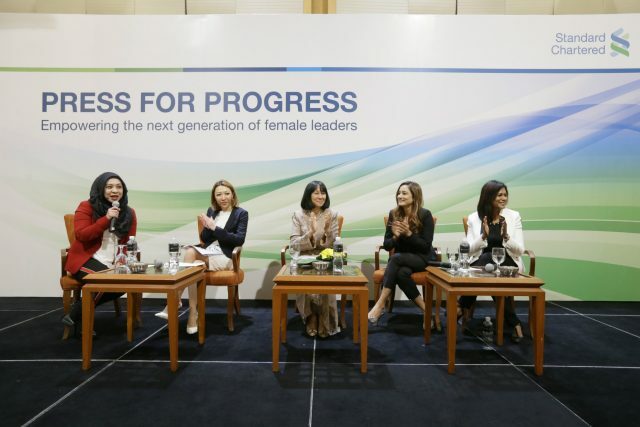 Standard Chartered Bank Malaysia held its women empowerment event as part of the Bank’s on-going effort to promote gender parity. Themed #PressforProgress, the event was focused on strategies aimed at empowerment in the changing world and women’s positive contribution to the Malaysian economy. The panel discussion saw esteemed and respected women leaders from various sectors including Her Excellency Vicki Treadell, British High Commissioner to Malaysia, Prof. Emerita Tan Sri Dr Sharifah Hapsah Syed Hasan Shahabudin, President, National Council of Women’s Organisations, Tan Sri Zarinah Anwar, Chairman, Malaysia Debt Ventures, Datuk Yvonne Chia, Chairman, Standard Chartered Bank Malaysia, together with Standard Chartered’s Mabel Lau, Chief Financial Officer and Sylvia Wong, Head Financial Markets. The panel was moderated by Low Ngai Yuen, Founder, WOMEN:girls and Aiza Azreen Ahmad, Director, Strategic Development, Axiata Digital. Amongs some of the topics discussed at the forum include pressing issues pertaining to empowering the next generation of female leaders and how breaking the glass ceiling starts by changing the work culture. Currently, nearly 60% of the Bank’s total employees in Malaysia are women with the executive committee also having a strong 42% female representation. 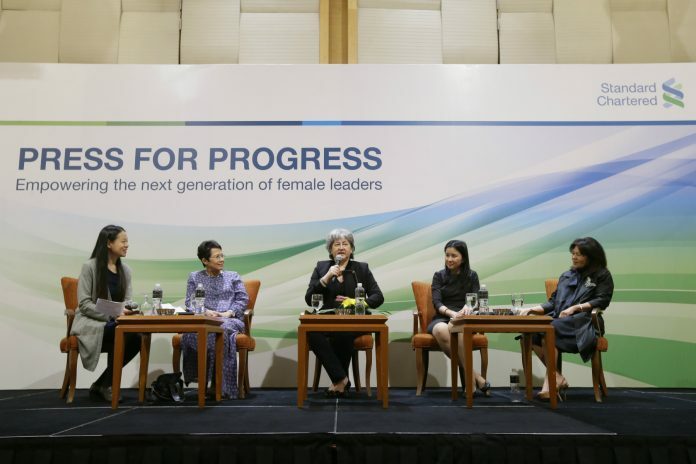 The Standard Chartered Malaysia Board comprises 30% women under the leadership of Chairman, Datuk Yvonne Chia. Standard Chartered Bank is committed towards supporting women empowerment, not just within the Bank, but also externally to its female clients and the community through various programs. and the Bank’s employees.